My little ninja greeted me in a princess dress. I told her teacher I might as well have caught her holding a cigarette. 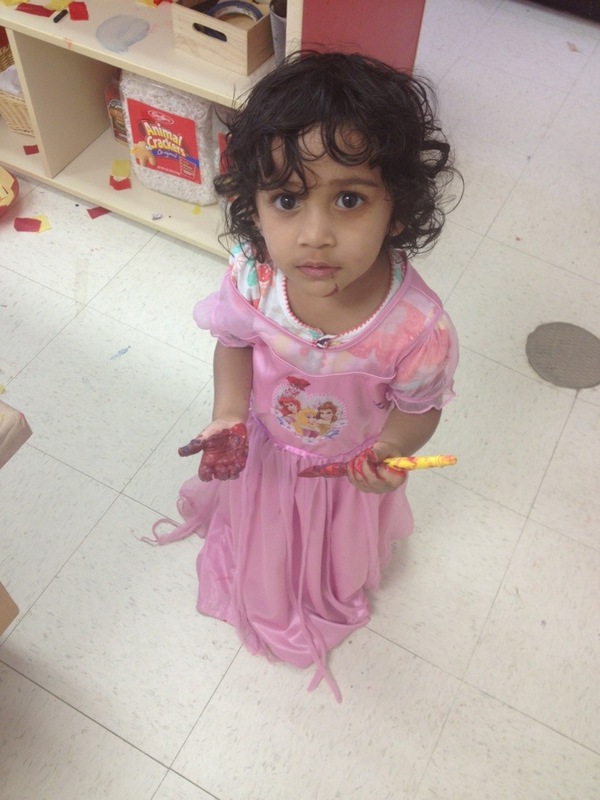 The class has a little dress-up station, and her teacher said Layla really wanted to wear the dress while she painted. If you don’t already know, our house is a no-princess zone. So, naturally, Layla indulges when she can find princesses elsewhere. As she gets older, I must carefully manage my princess aversion, so she doesn’t go all extreme princess rebel on me. This entry was posted in Being a parent. Bookmark the permalink.